That’s a wrap on another round of Dewey’s 24-hour Readathon! I’m pretty late with this wrap-up post, and I don’t even have a good excuse–the week just got crazy and before I knew it, it’s a week later. As usual, I really enjoyed participating in the readathon. It’s such a nice idea to take a day-long break from regular adulting and dedicate your time fully to books and talking about books. As far as readathons go, it wasn’t my best and it wasn’t my worst; I’ve definitely had readathons where I’ve read much more in terms of page count than this one, and I was pretty burnt out from a crazy week at work, but I really enjoyed the books I read and had fun challenging myself to keep reading even when on another day I’d have stopped to get other things done. Hour 12. I was about halfway done with my second book and just felt like I hit a wall in terms of energy levels; I’m usually a night owl, but I started doubting that I’d be able to stay up late at all and felt my motivation flagging. I was able to get past it by taking a break to work out, which is usually a good way to wake myself up, and then I felt much better. 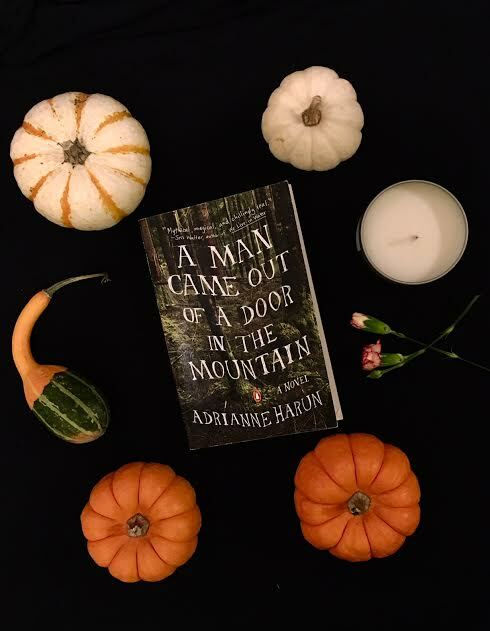 I finished 2 books, Neverworld Wake by Marisha Pessl (327 pages) and A Man Came Out of a Door in the Mountain by Adrianne Harun (254 pages). I also listened to about an hour and a half of the audiobook of Sawkill Girls by Claire Legrand and read a bunch of My Lady’s Choosing: An Interactive Romance Novel by Kitty Curran and Larissa Zageris (it’s choose-your-own-adventure style so I have no idea how many pages i read). 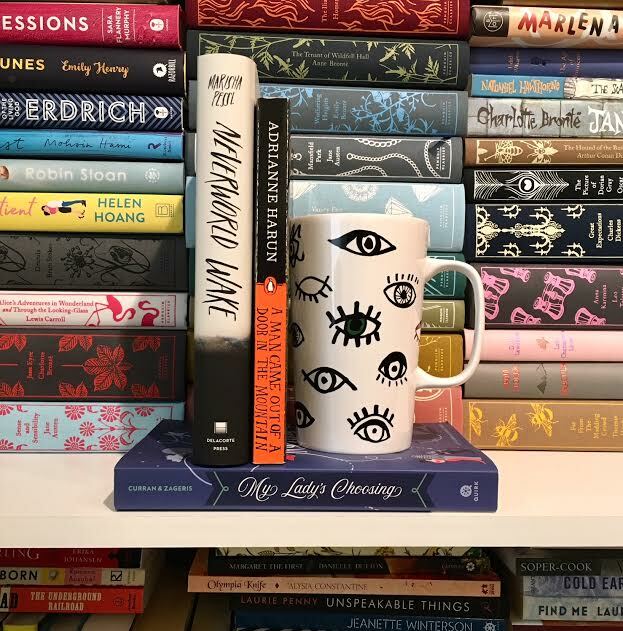 Neverworld Wake turned out to be a perfect readathon pick since it’s so weird and claustrophobic, with a mystery at its center, that it’s the type of book that’s best read in one sitting. I also thought that My Lady’s Choosing was a fantastic readathon pick due to its unconventional choose-your-own-adventure format and light tone. I’ll definitely participate in the next readathon, and check out how I can help volunteer! Did any of you participate in this round of Dewey’s? How did your readathon go? I did not participate in this particular Dewey’s but had a blast with the previous one. Congrats on reading so much!! !